In addition to uploading the CRC Sunday sermon to sermon audio, we are also going to be uploading the weekly sermon to our youtube account. 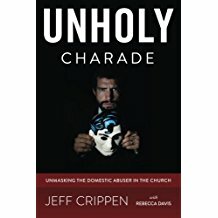 Because the youtube account was set up under our other website, unholycharade.com, the account can be found under the name: Unholy Charade – Jeff Crippen. Click on the link above to go there. Each Sunday morning the Sunday Order of Service with a link to the PDF of the sermon will be published at 6 AM PMT.. Links to the video (on sermon audio and our youtube channel) will be uploaded by Sunday evening.